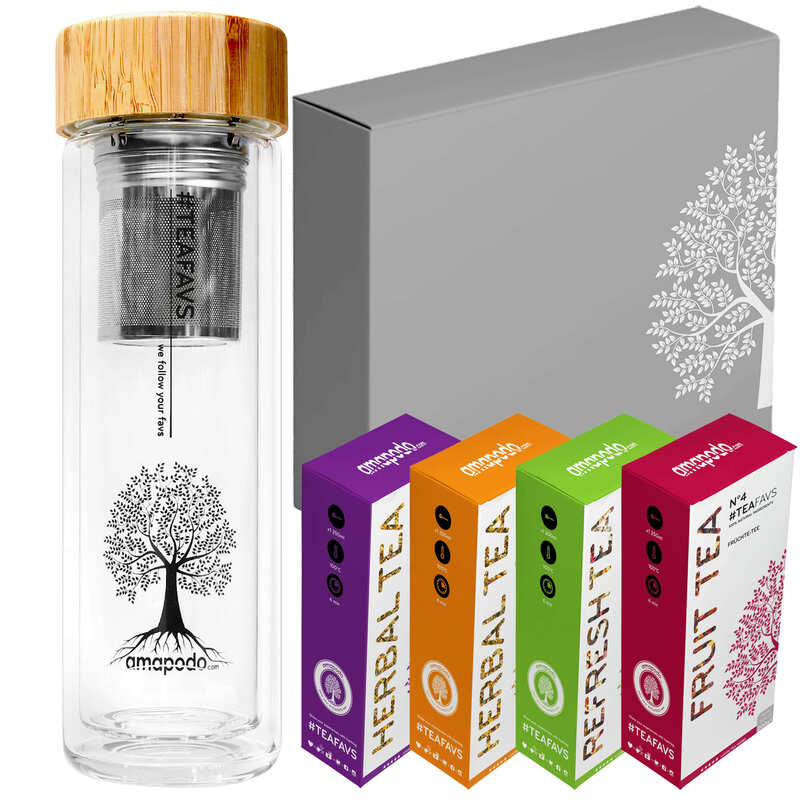 Innovative, practical and always a pleasure – with the teafavs tea glass you can conjure up an aromatic tea in no time at all, which you can enjoy both at home and on the go. 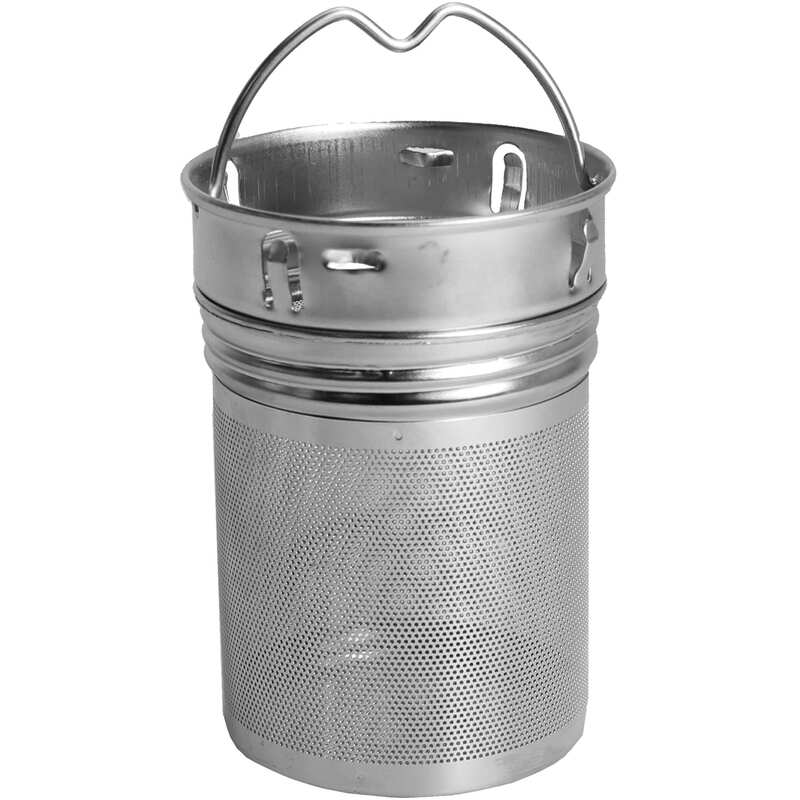 You don’t need any special sieving equipment. 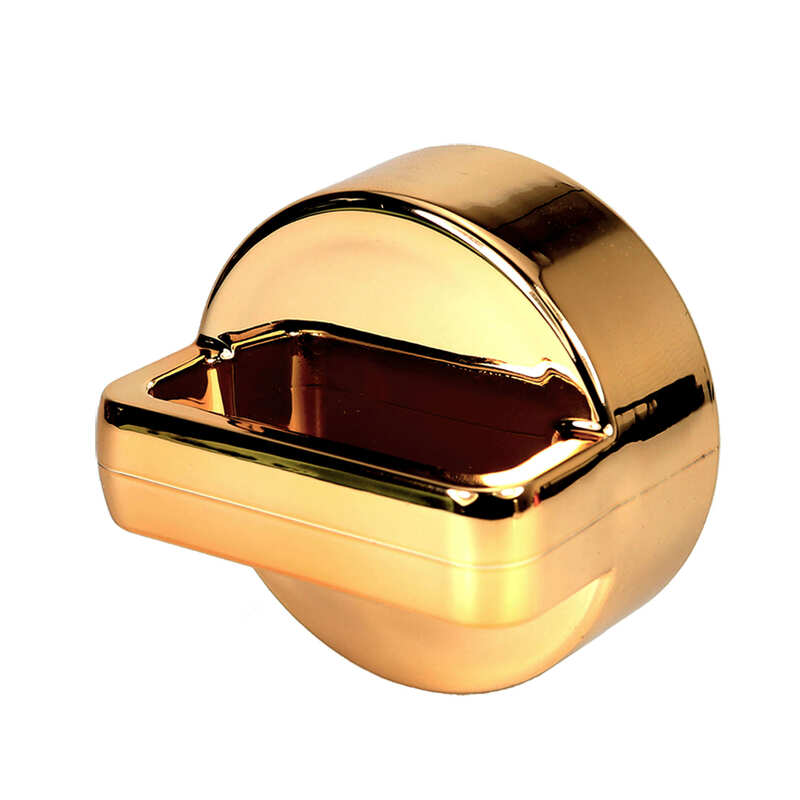 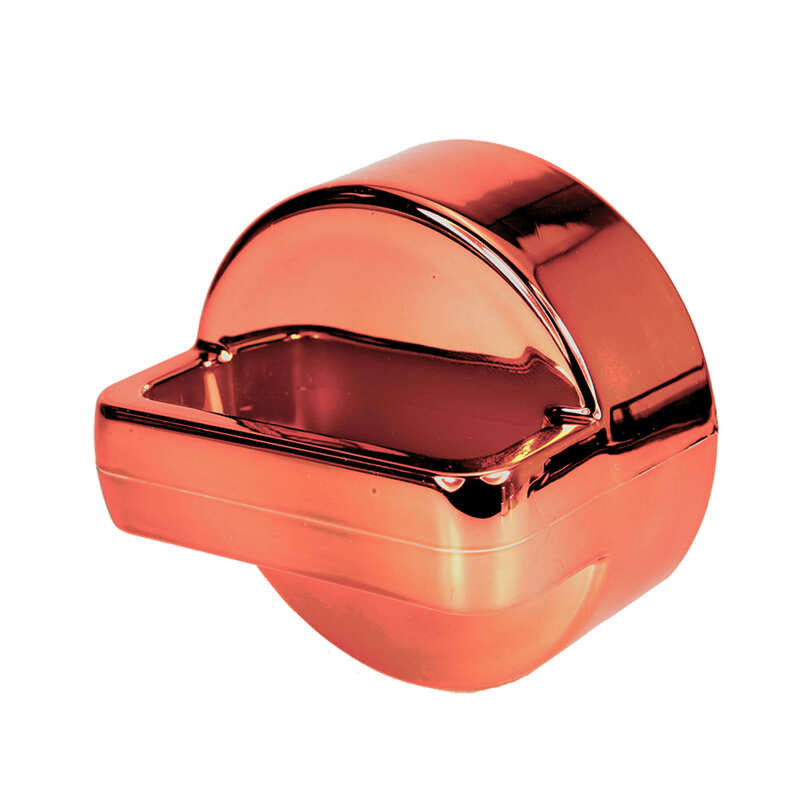 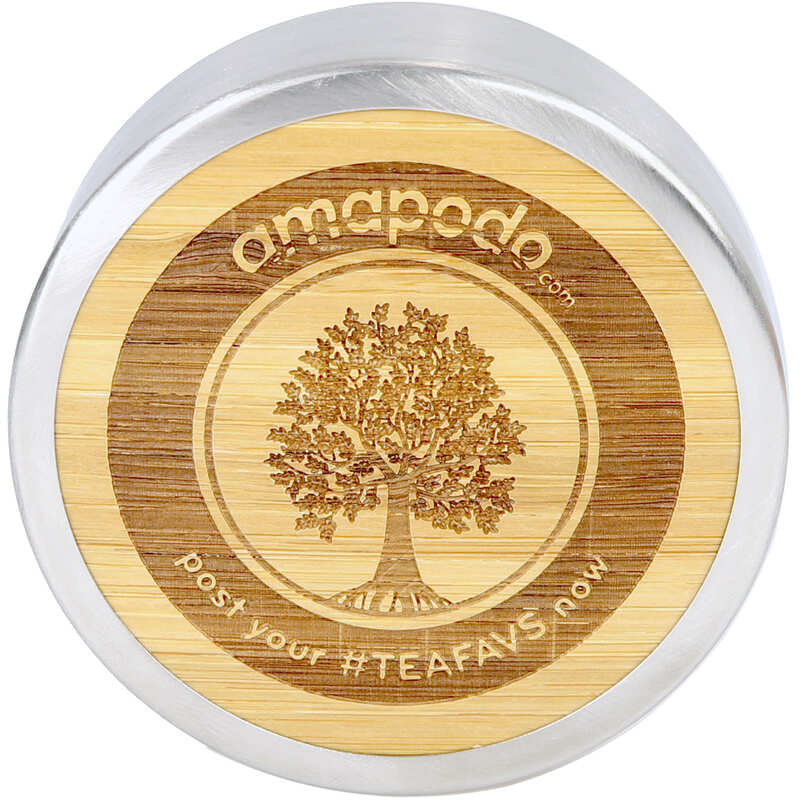 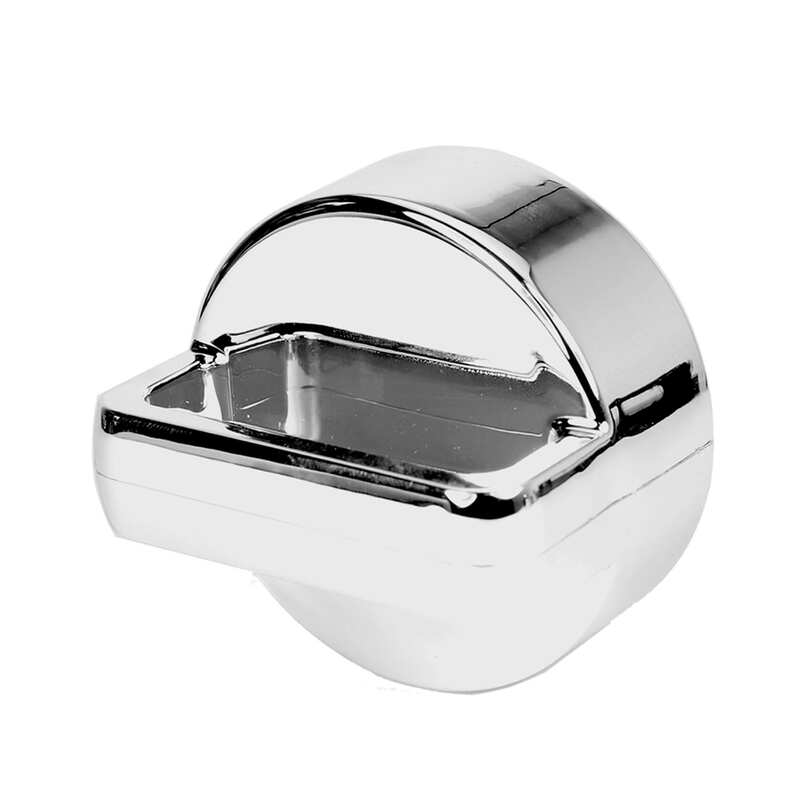 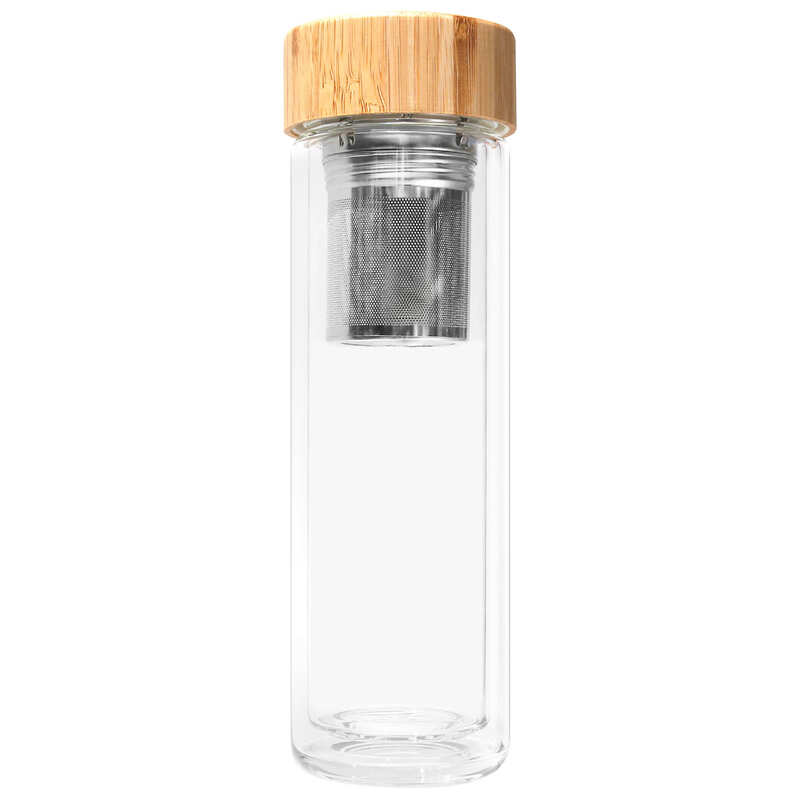 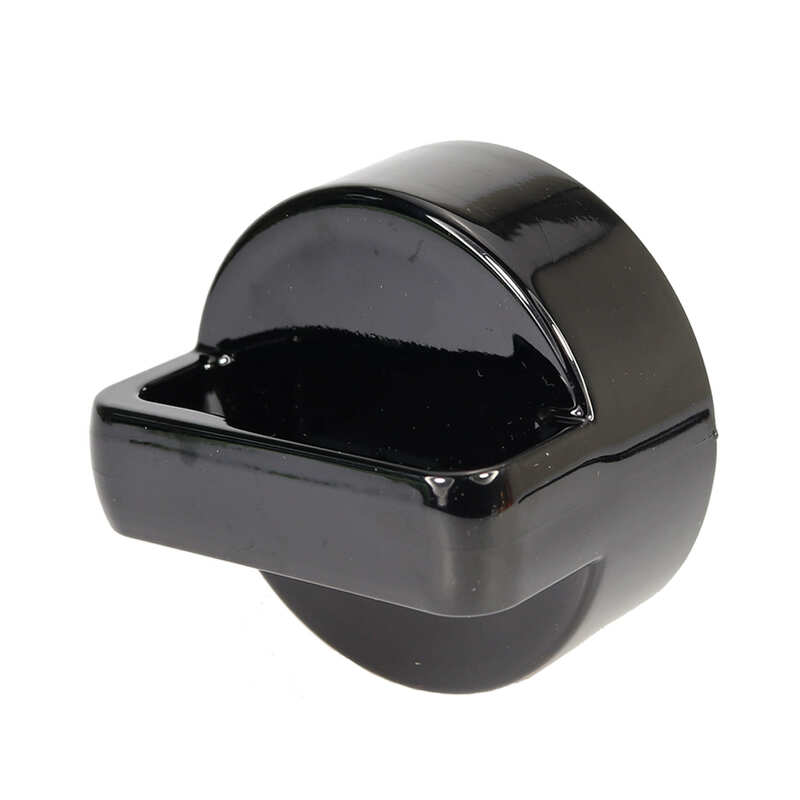 This component is already included in the tea glass and is located directly under the bamboo lid that closes the glass. 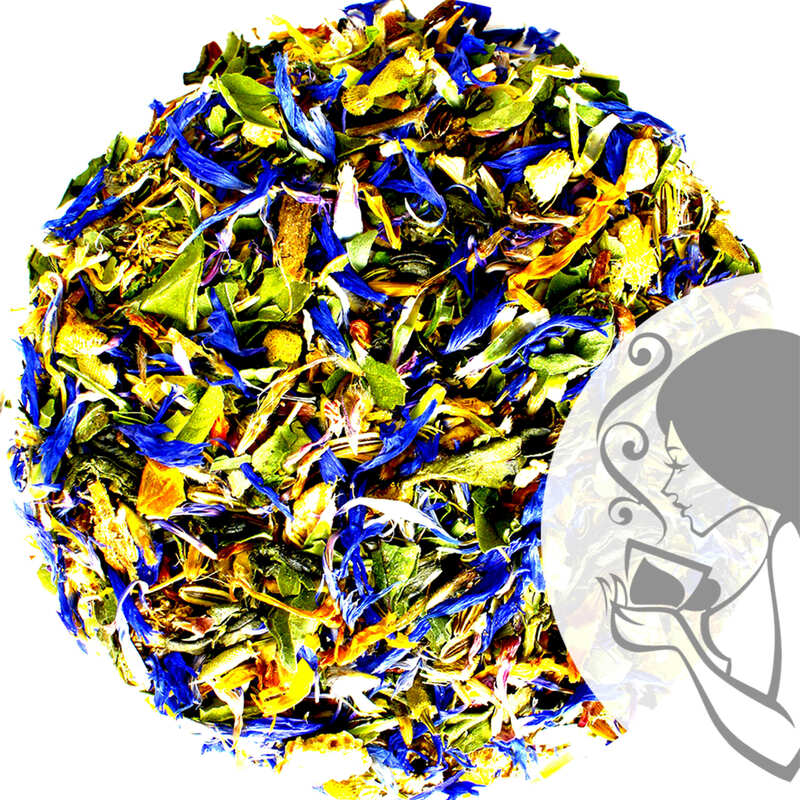 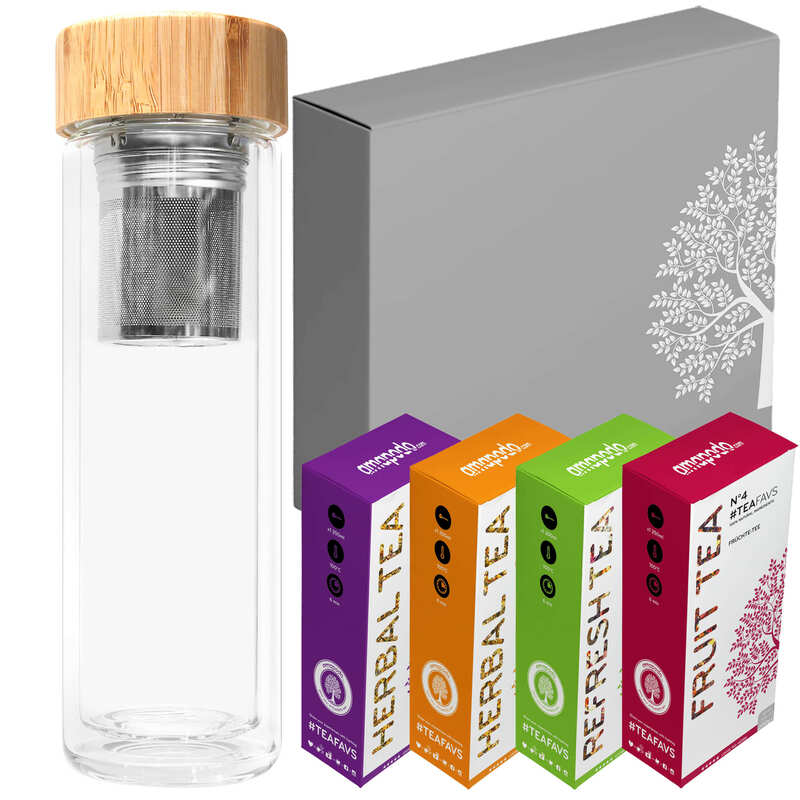 After preparing the tea, you can then enjoy the aromatic drink directly from the jar – especially convenient for on the go. 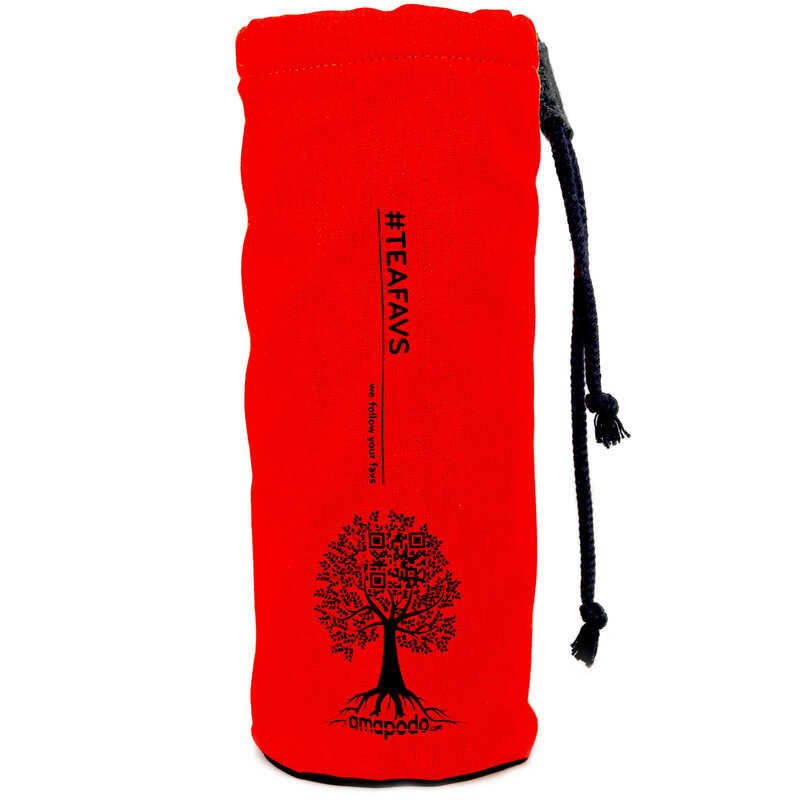 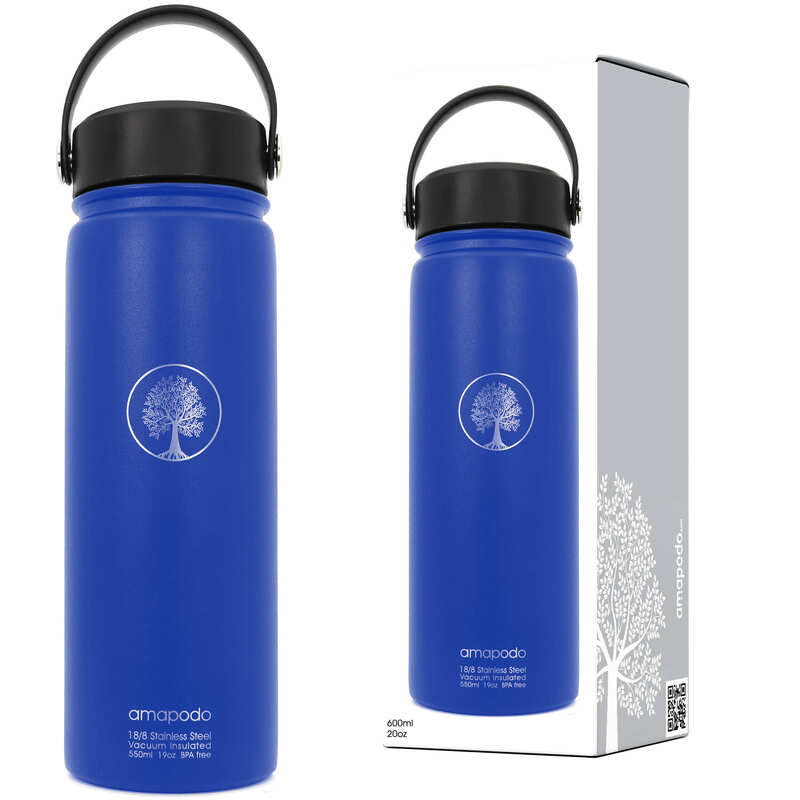 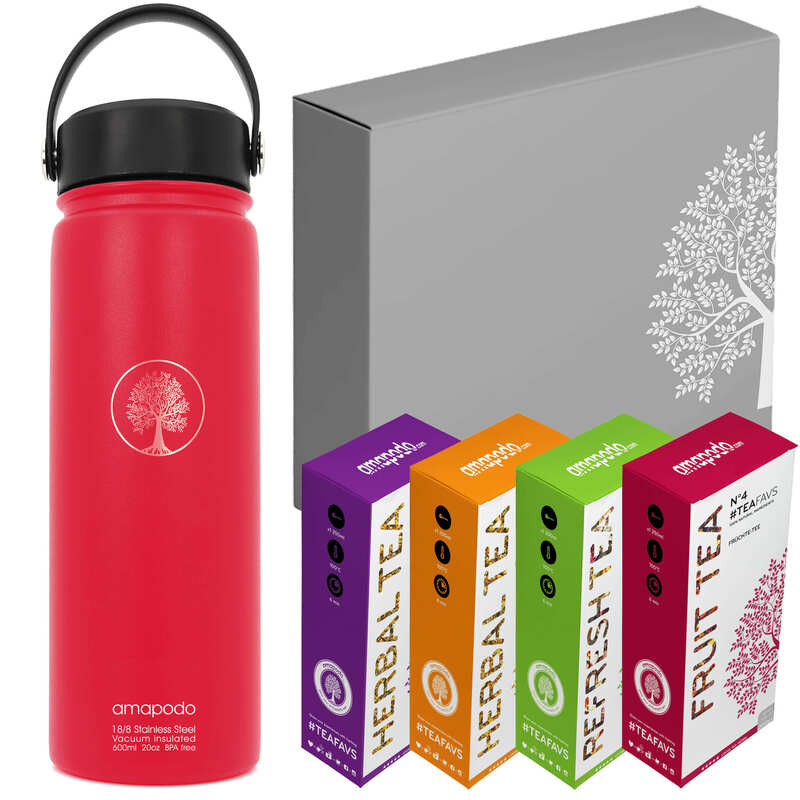 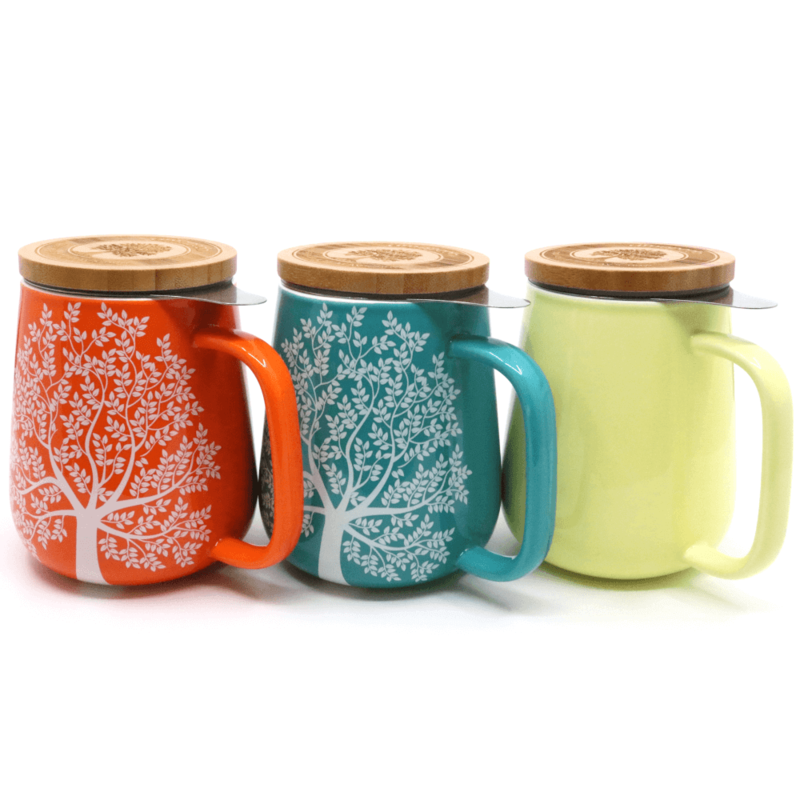 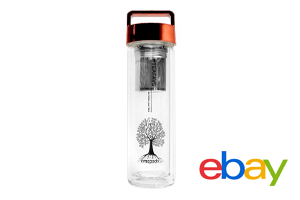 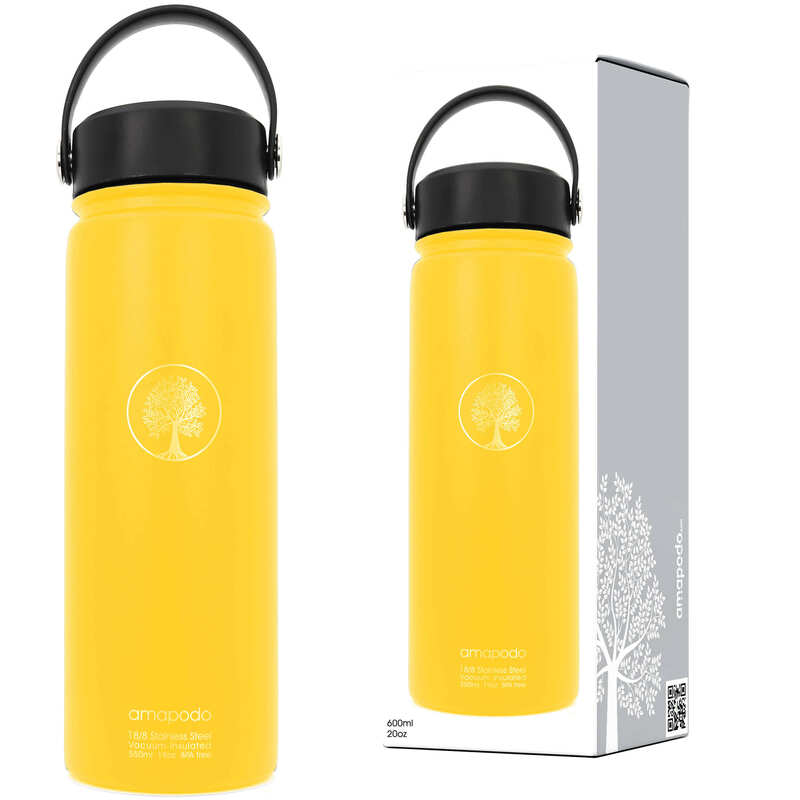 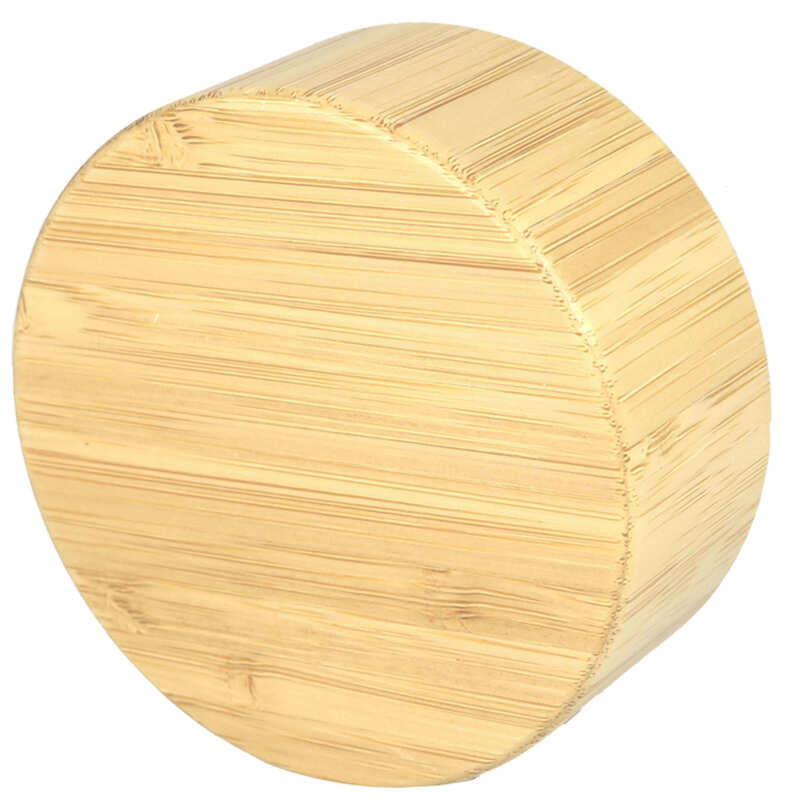 The high-quality bamboo lid keeps the drink pleasantly warm for about two hours. 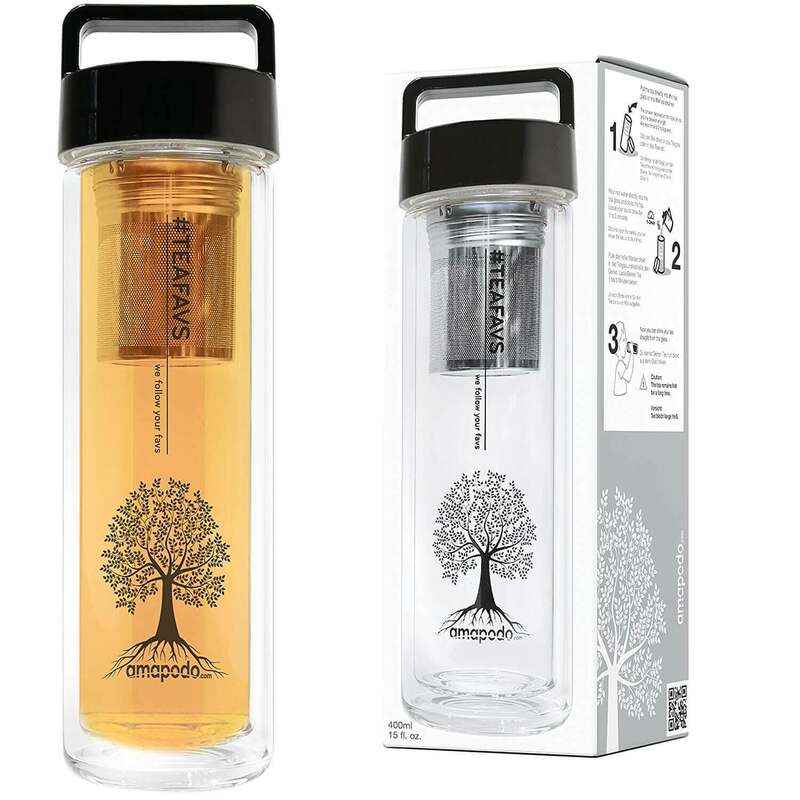 Thanks to the double-walled glass, there is no risk of burns at any time when touching the tea glass. 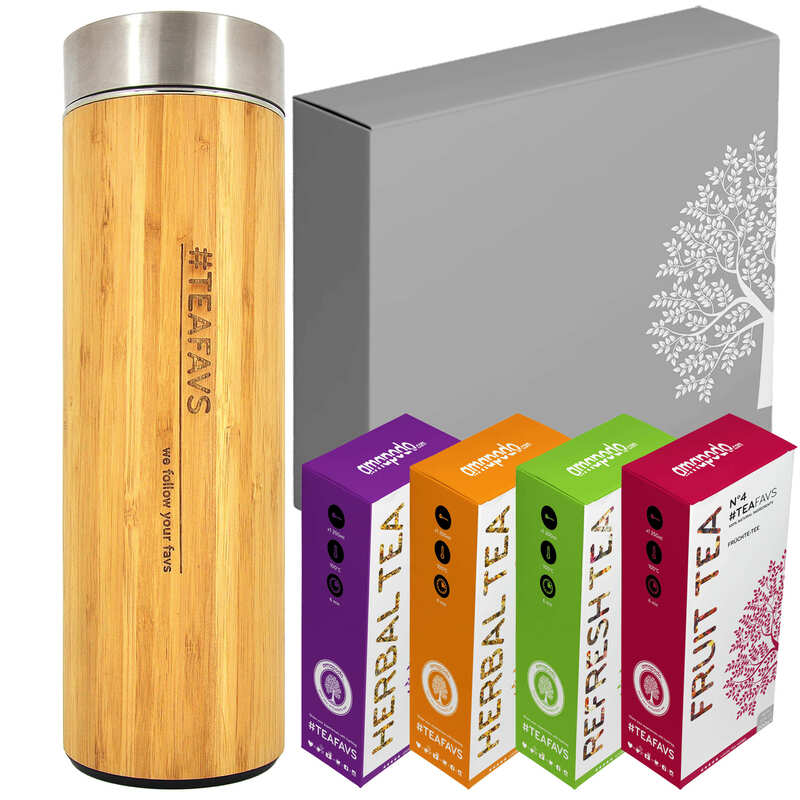 The optimal and practical solution for all passionate tea drinkers – and those who want to become one. 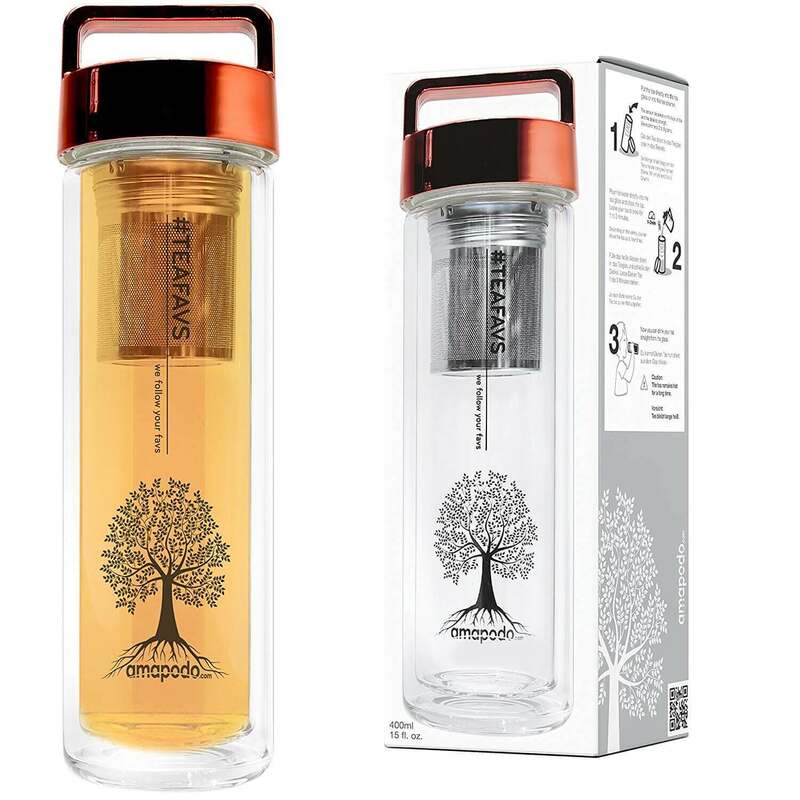 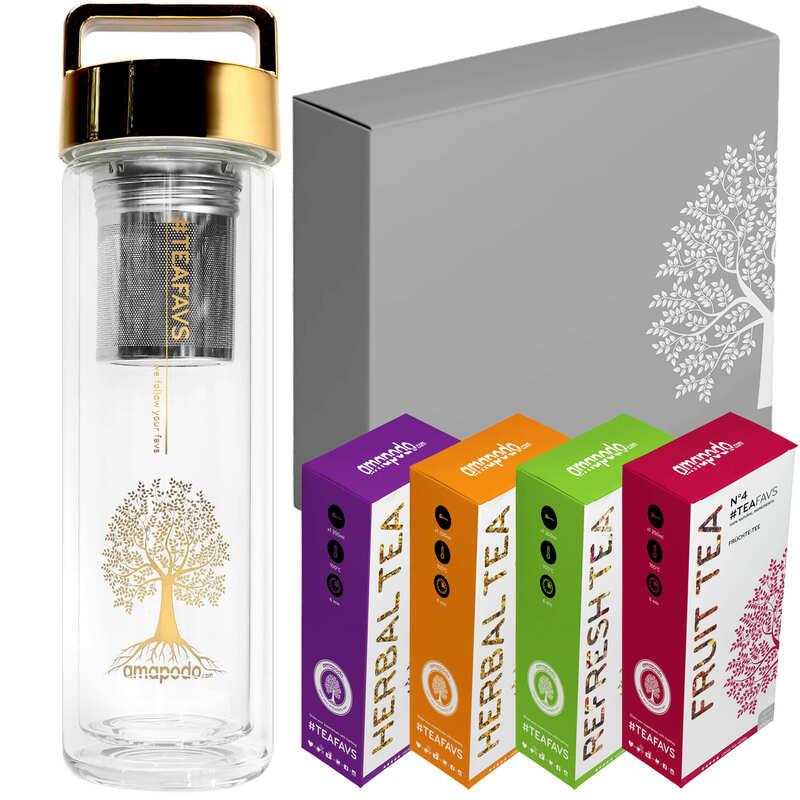 If you want to prepare an aromatic drink with the help of the teafavs tea glass, you have two simple options. 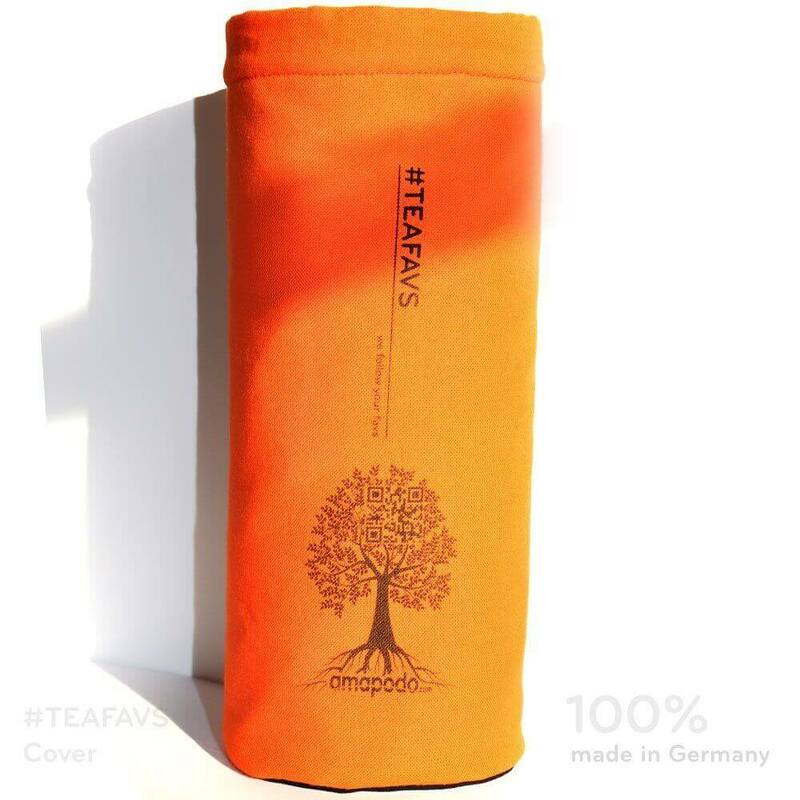 The process is particularly simple if you place the tea leaves in the main compartment of the sieve. 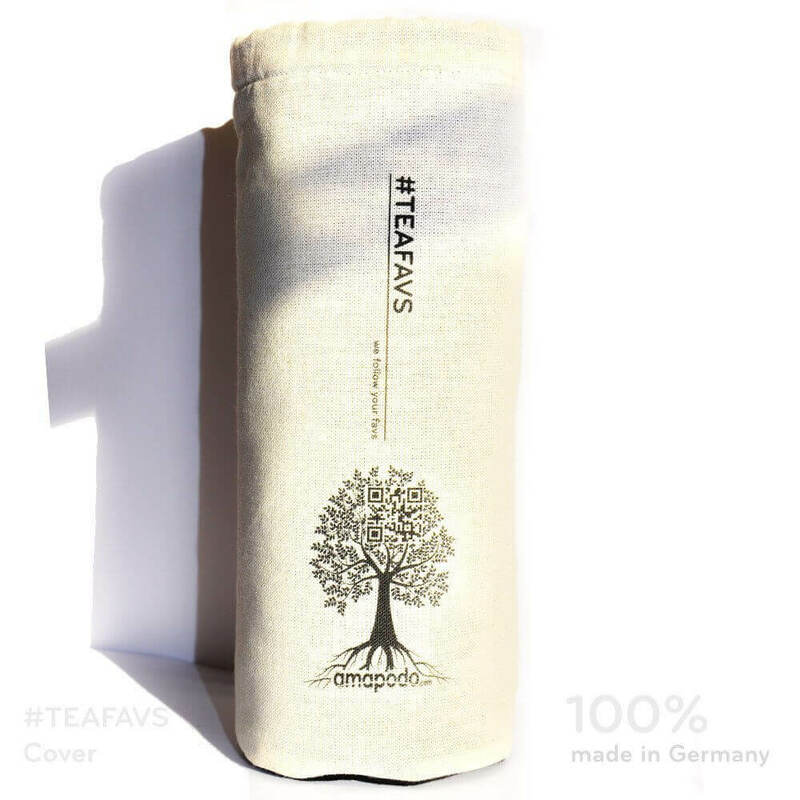 In this case, the sieve acts as a classic filter and you can enjoy the tea immediately while the taste continues to unfold. 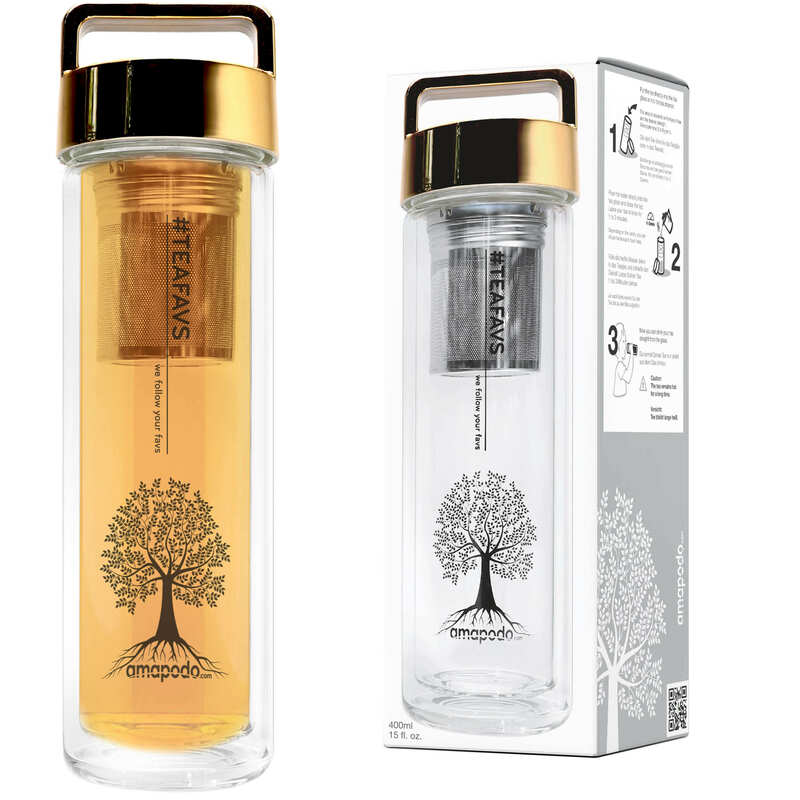 Alternatively, you can place the leaves directly in the glass and use the small strainer. 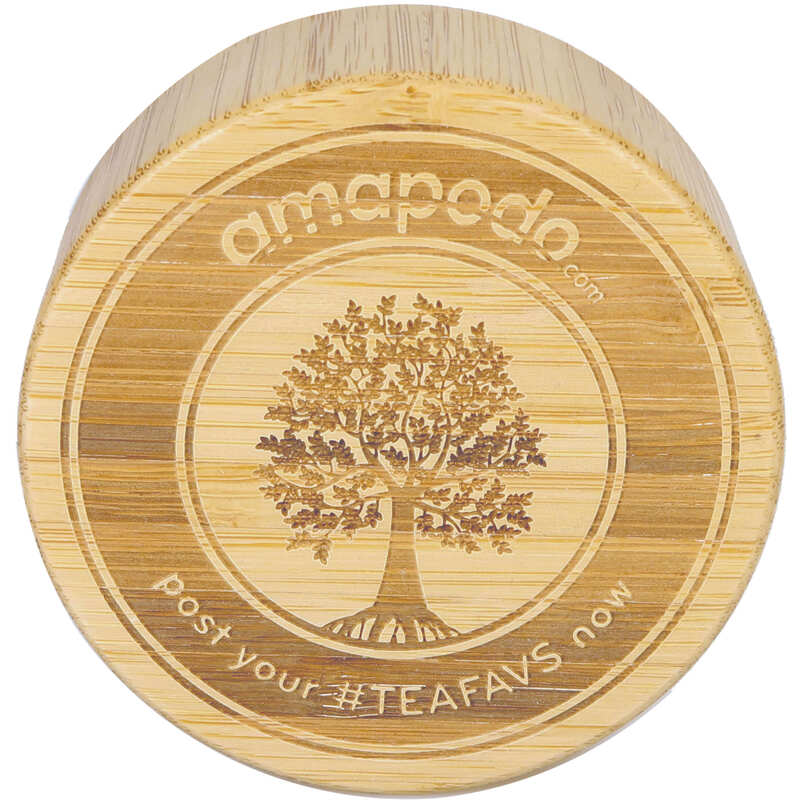 Watch the tea unfold slowly! 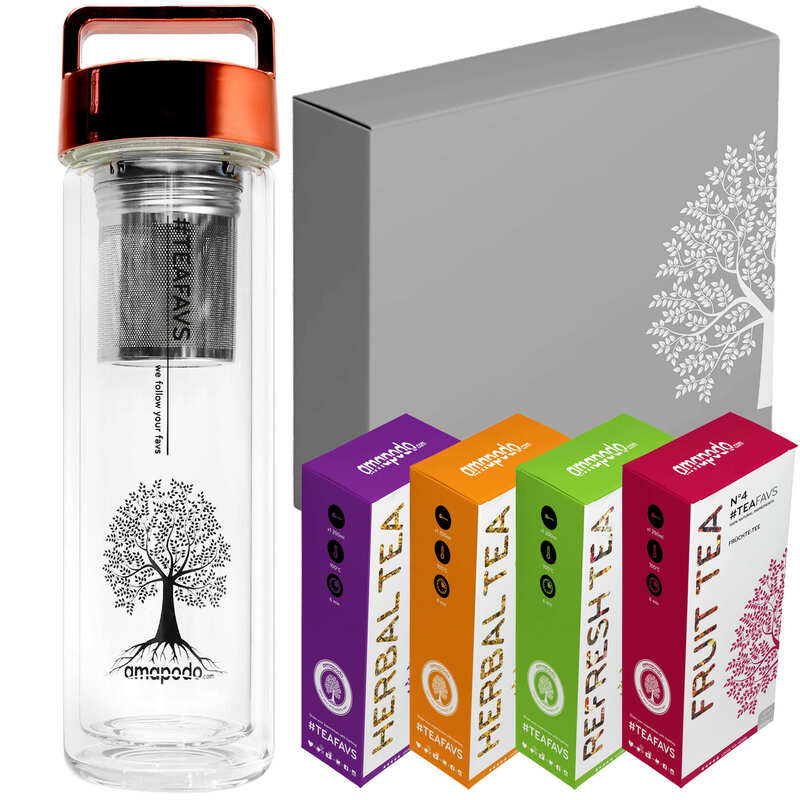 The teafavs tea glass is made of high-quality materials that ensure the highest tea enjoyment at all times. 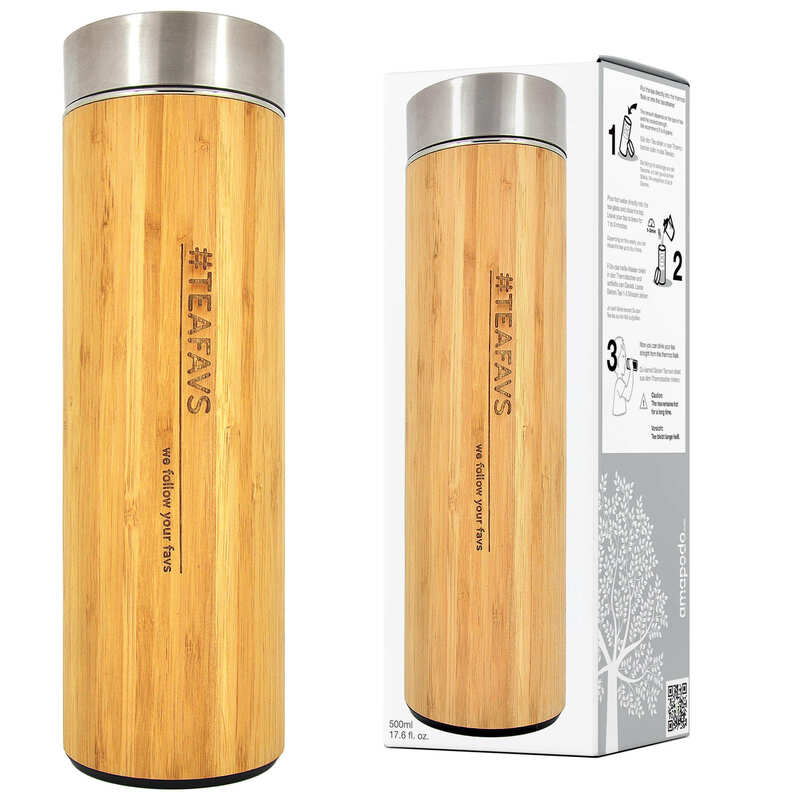 The lid of the tea maker, which is made of quality bamboo, keeps the liquid in the container warm for a long time – in contrast to a classic tea cup, in which the beverage cools down quickly. 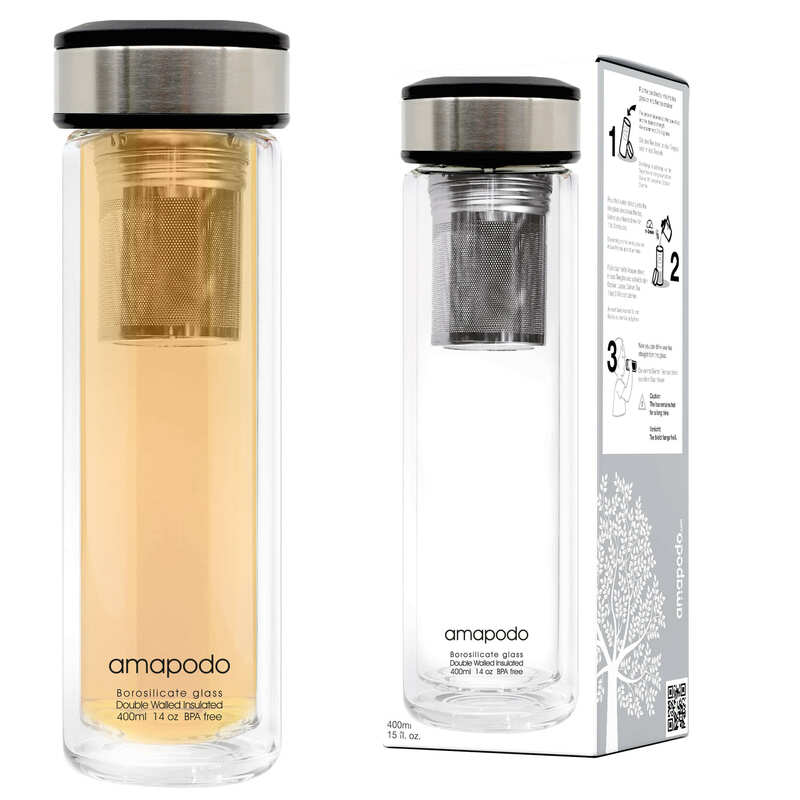 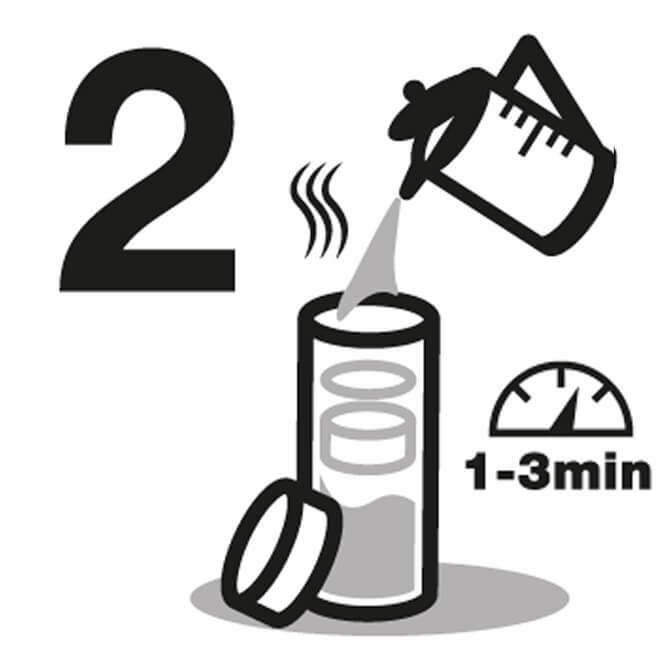 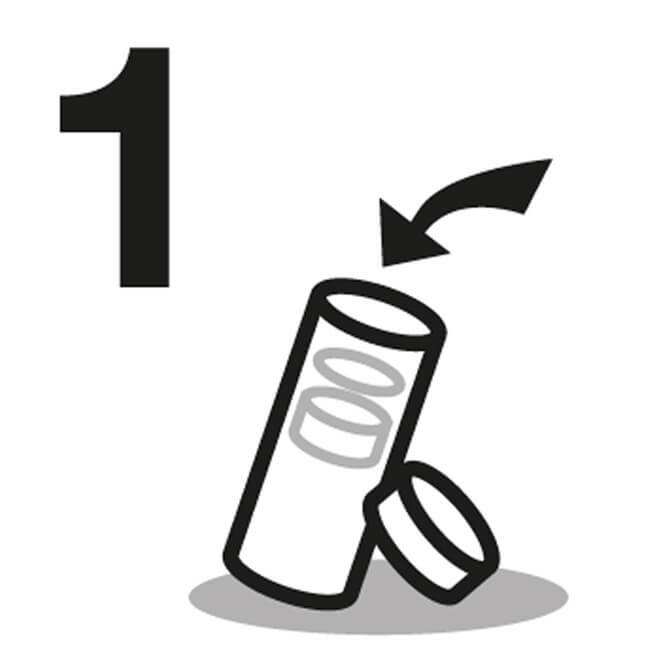 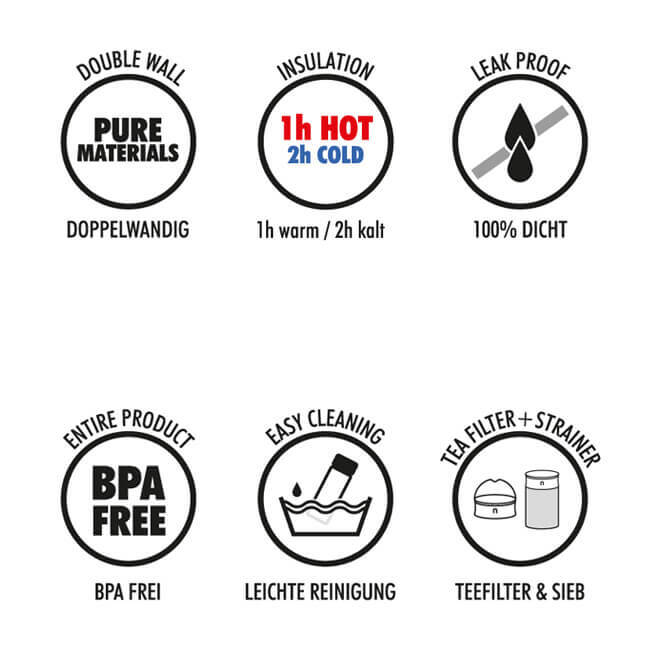 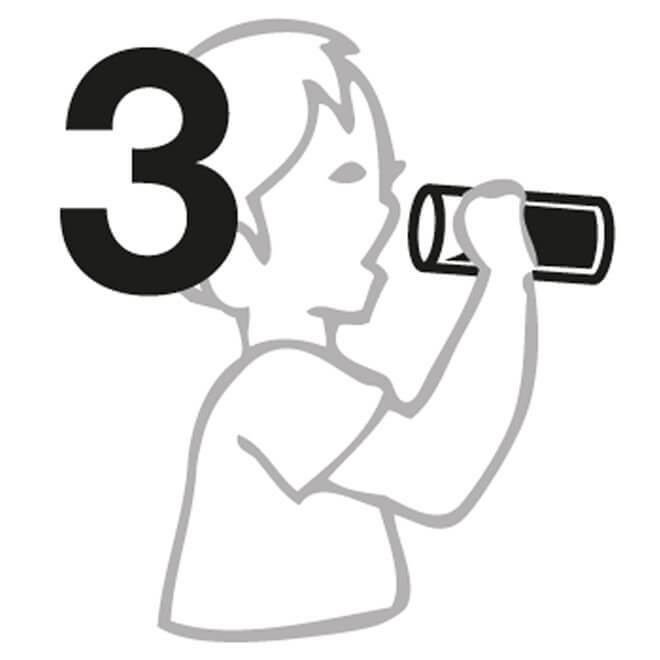 In addition, double-walled borosilicate glass ensures that there is still no risk of burns. 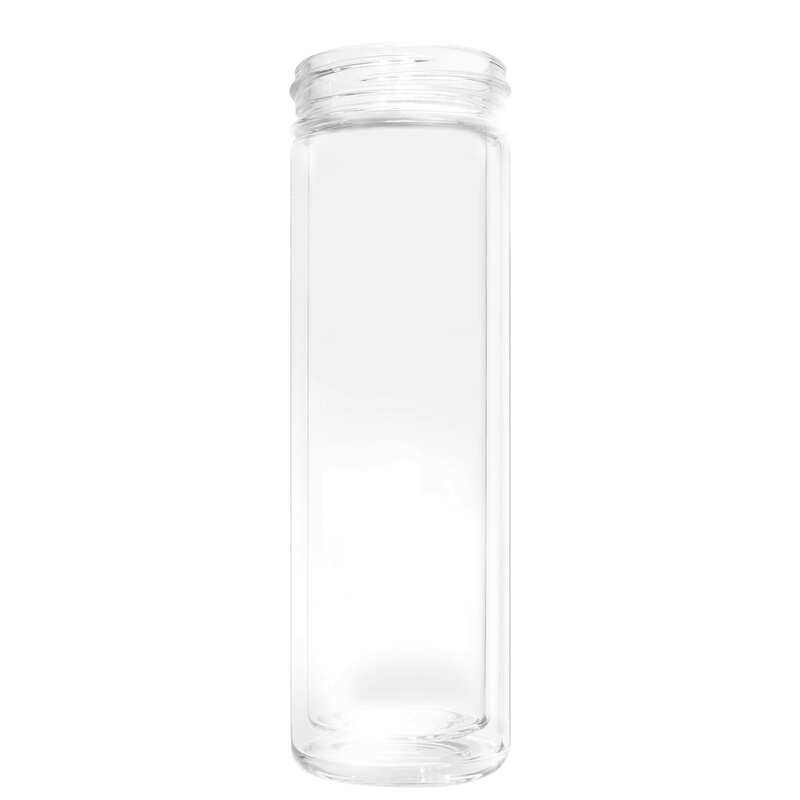 The glass offers a generous volume. 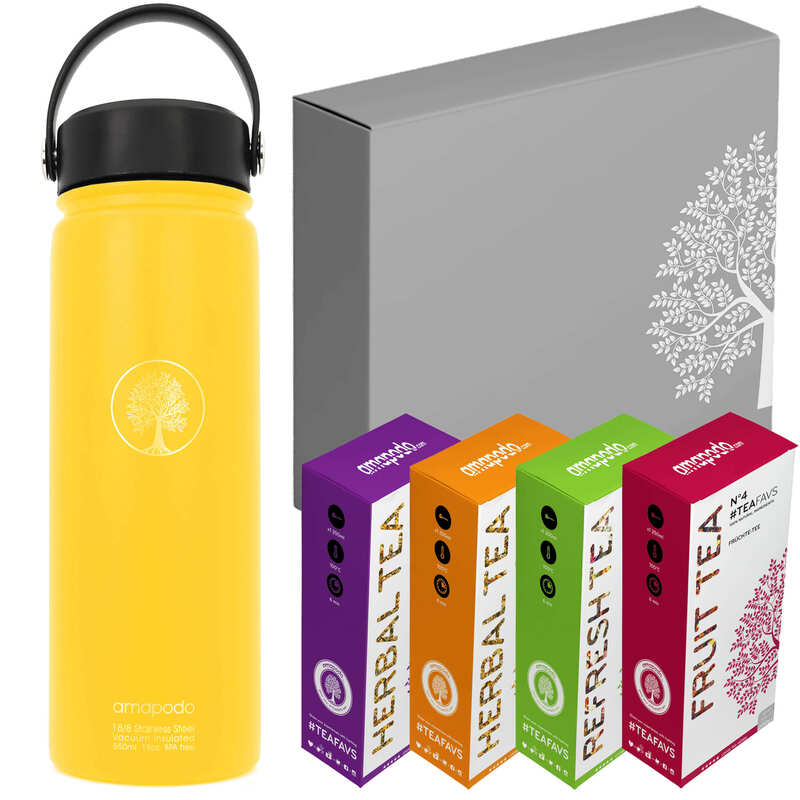 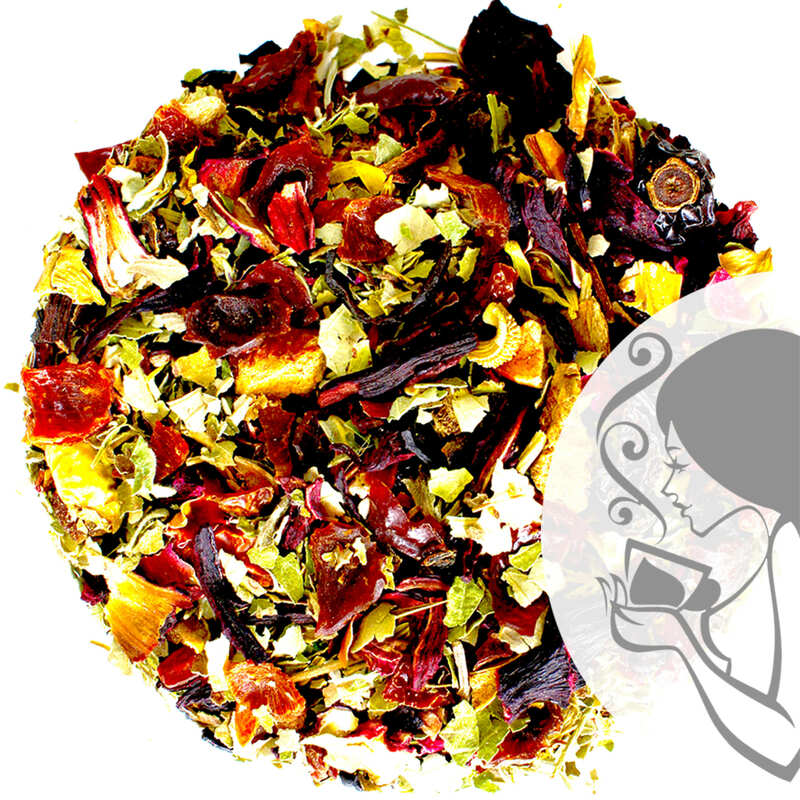 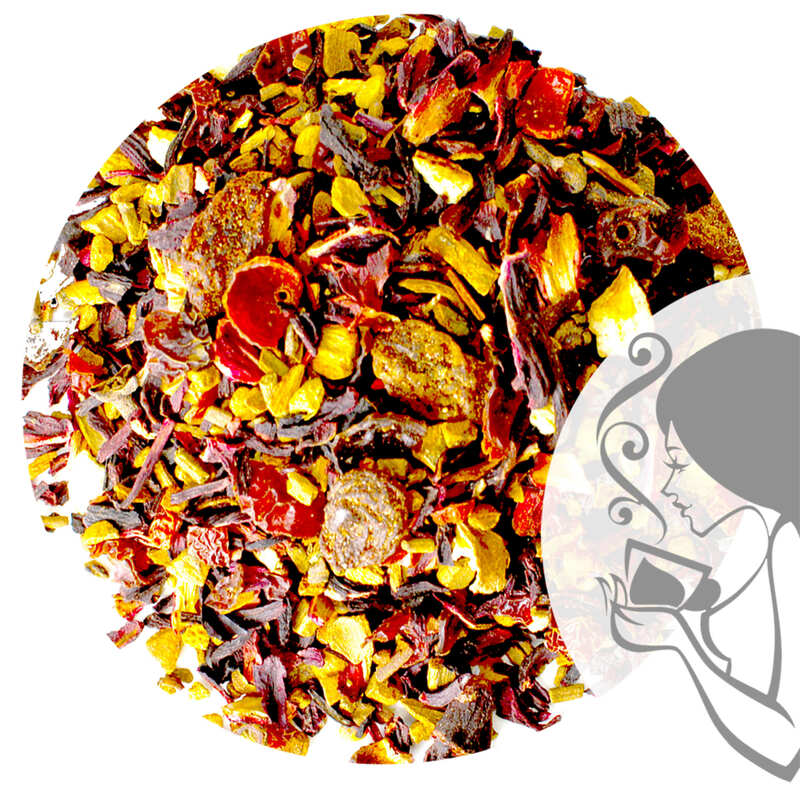 So you can enjoy a larger amount of your favourite tea in one preparation. 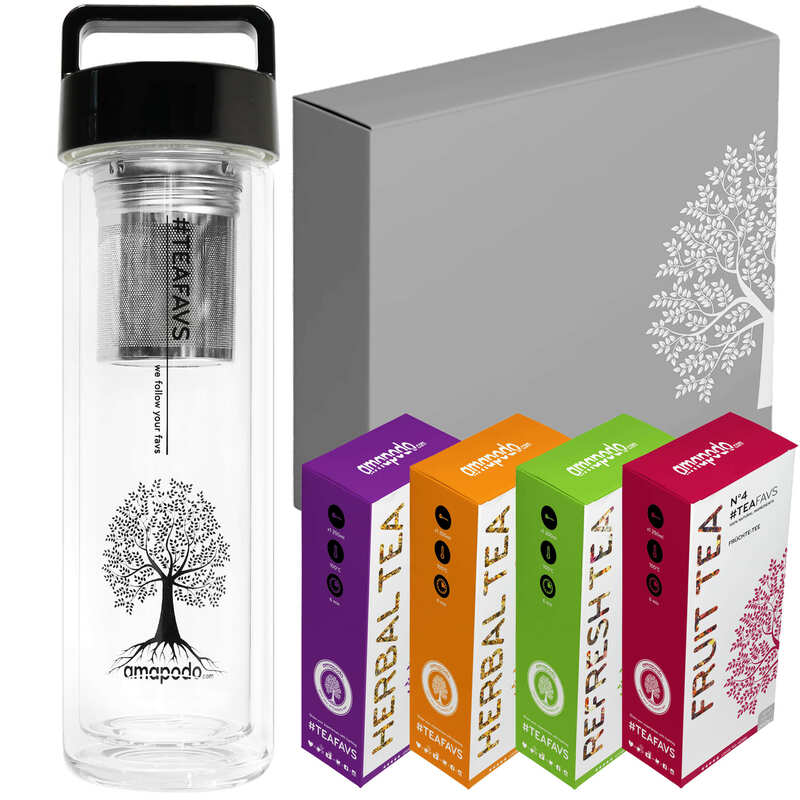 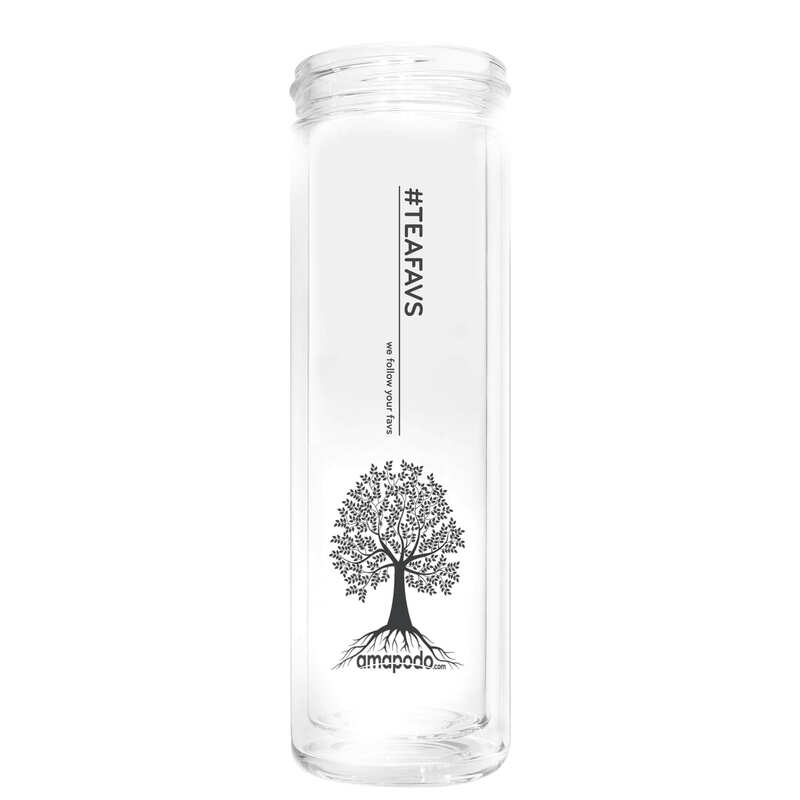 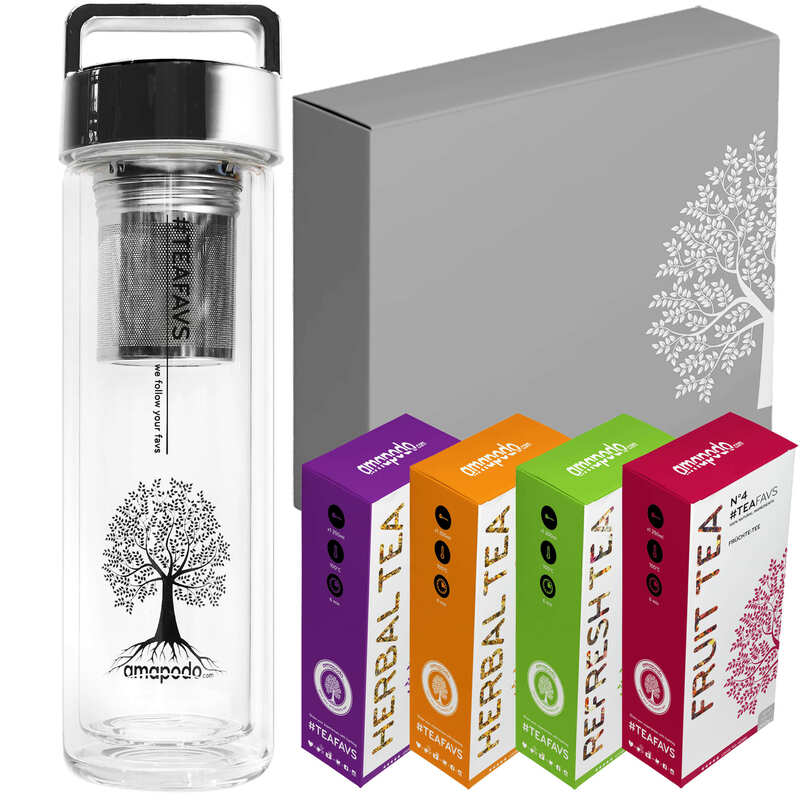 Last but not least, the teafavs tea glass is environmentally friendly and free of harmful substances BPA´s. 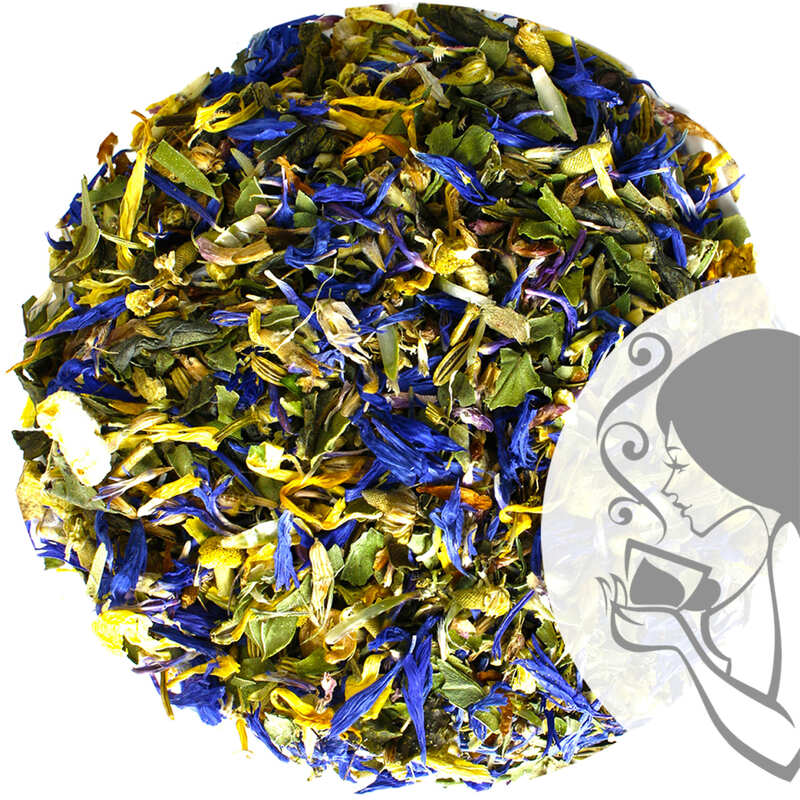 By the way, you can not only prepare tea in your teafavs tea glass, but also coffee or fill it with juice and water. 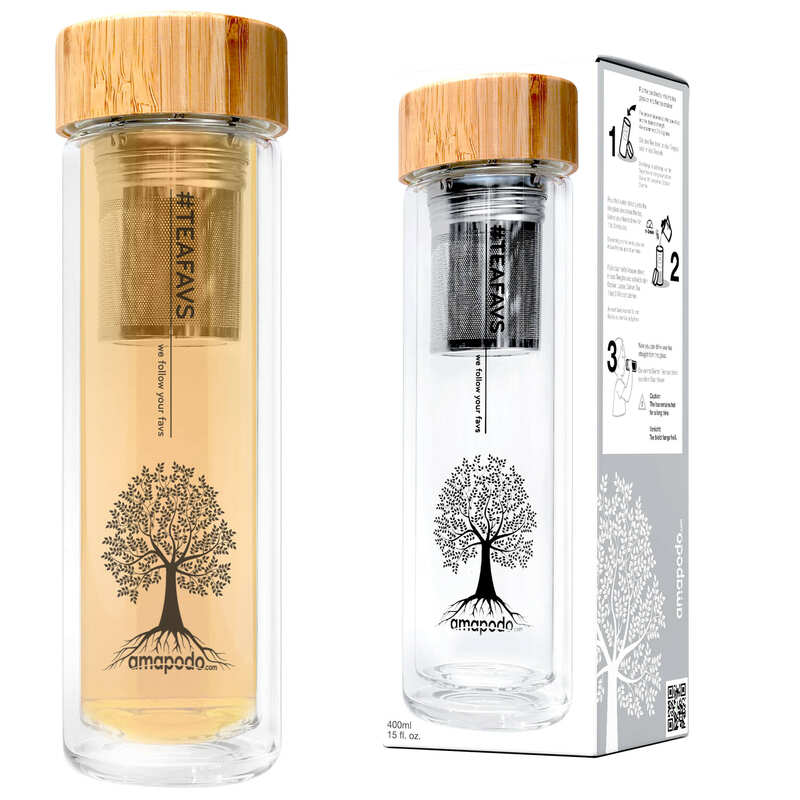 Whether you are a passionate tea drinker or an occasional connoisseur – the teafavs tea glass is the ideal companion on the go and indispensable for tea enjoyment at home.